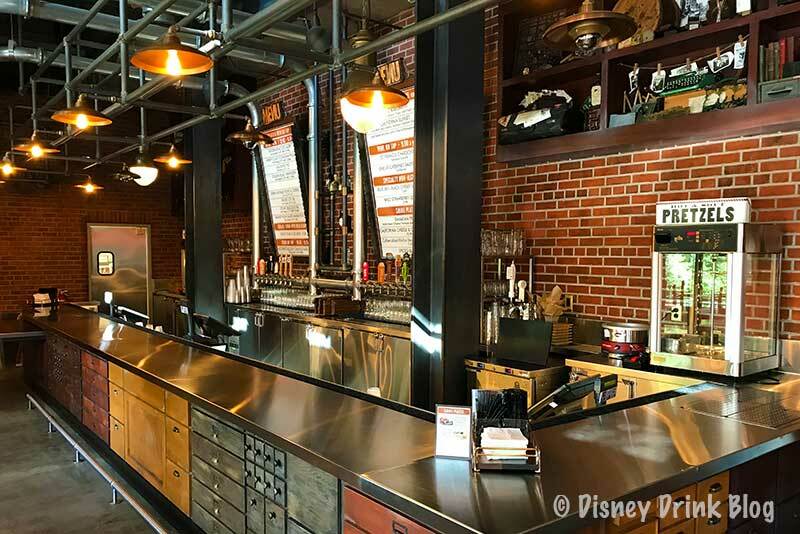 You’ll enjoy the Baseline Tap House, one of the newest Disney World Theme Park Bars. 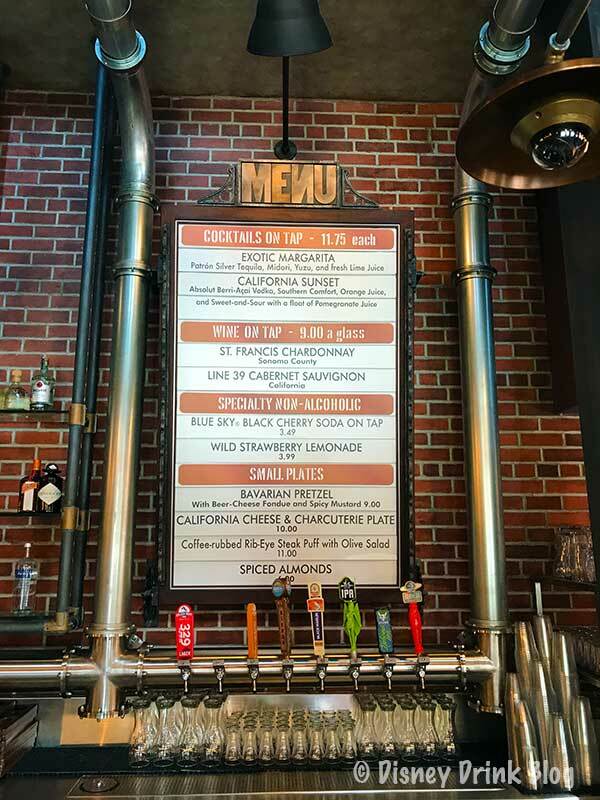 Stop on in for a cold California brew or glass of wine and enjoy the small bites as well. 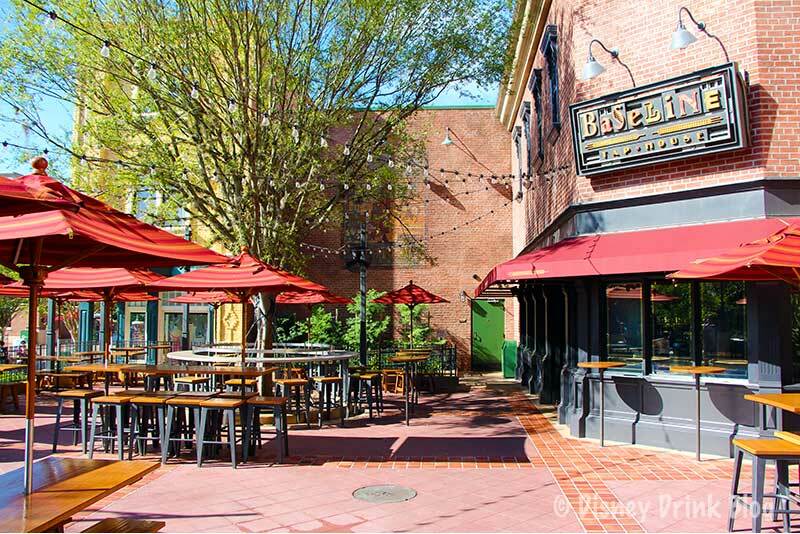 The Baseline Tap House opened in the location that formerly housed The Writer’s Stop, a coffee shop that also sold a very small selection of books that was based upon the book store Ellen DeGeneres’ character owned in the ABC 90’s show Ellen. Many were sad to see the Writer’s Stop go, but the Baseline is an awesome replacement! 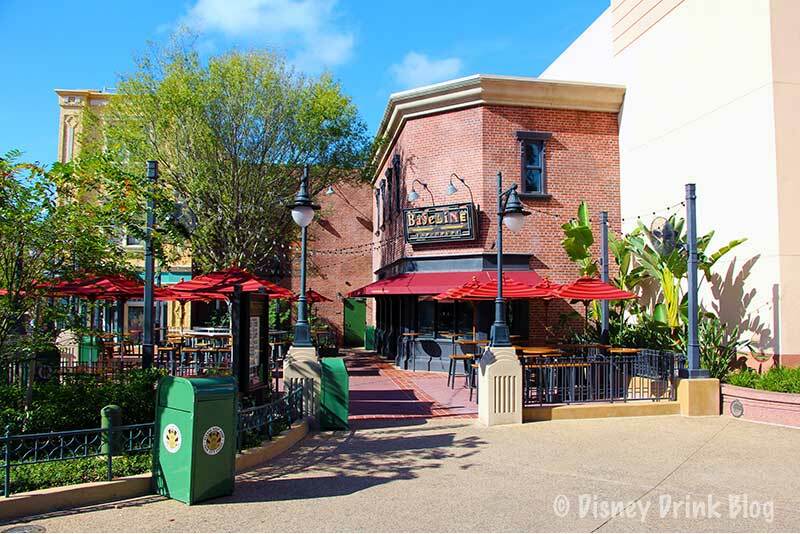 The Tap House is located near the Sci-Fi Dine In Theatre on the corner of Commissary Lane and Grand Avenue. The Baseline is designed to look like it’s in a repurposed print shop. 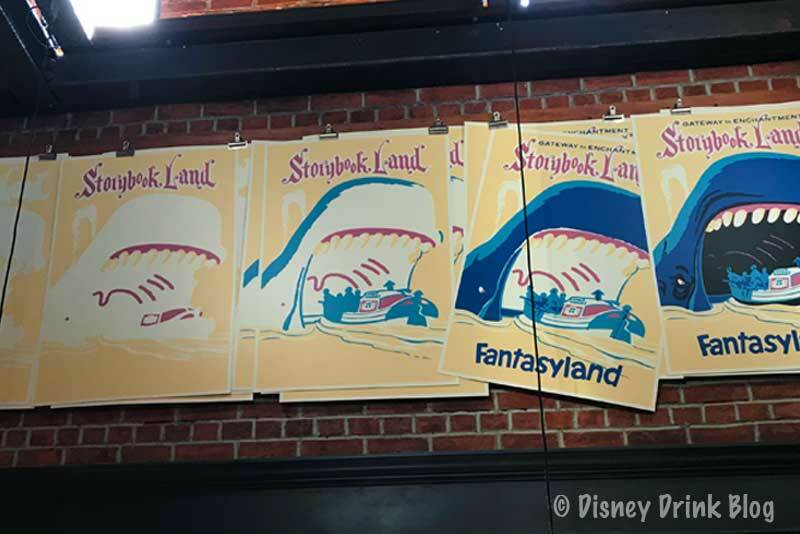 You’ll see lots of interesting items left over from those days, like print shop hardware on shelves and old Disney print jobs hanging about. 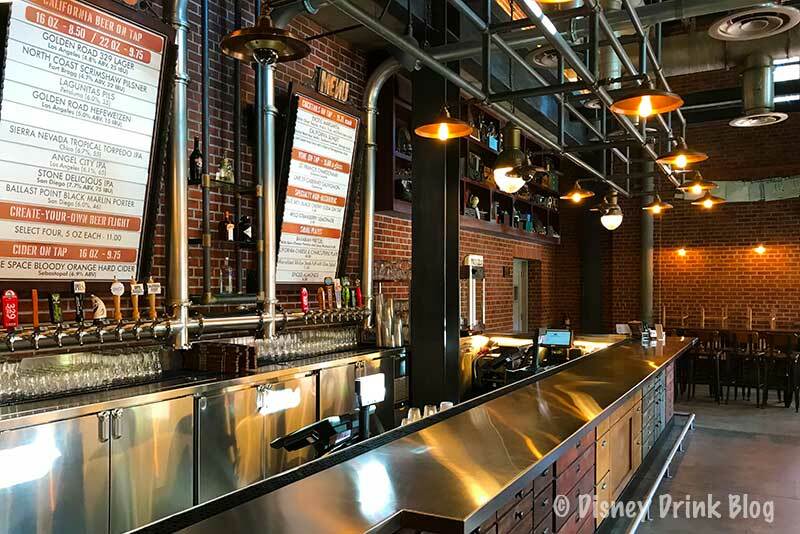 The Tap House pays homage to the Figueroa Printing Company—a mom-and-pop print house that once enjoyed a flourishing partnership with Disney Studios. There is a beautiful standing only bar constructed of printer’s cabinets with lots of little drawers, a large high-top table and chairs, and ledge with chairs against the front windows. 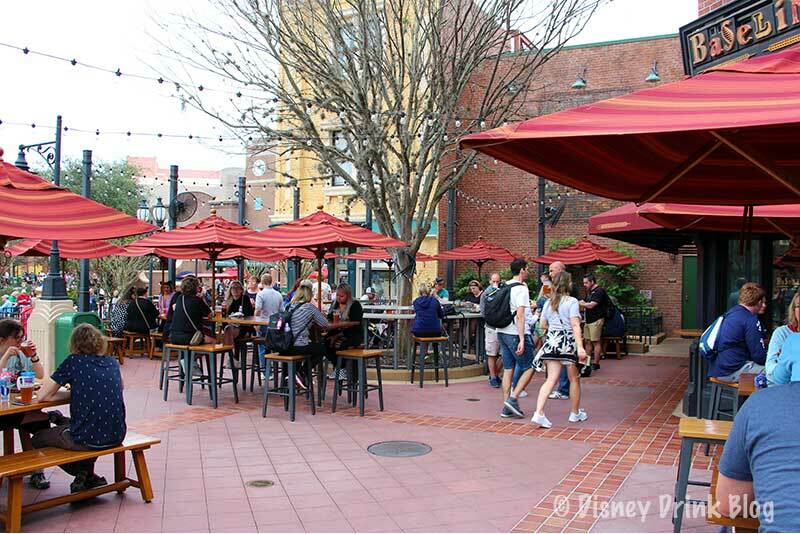 Outside under the shady trees you’ll find lots of seating on picnic style tables, High-top tables and ledges with chairs, as well as standing high-tops. There are quite a few fans around to keep the air moving in the hotter weather. 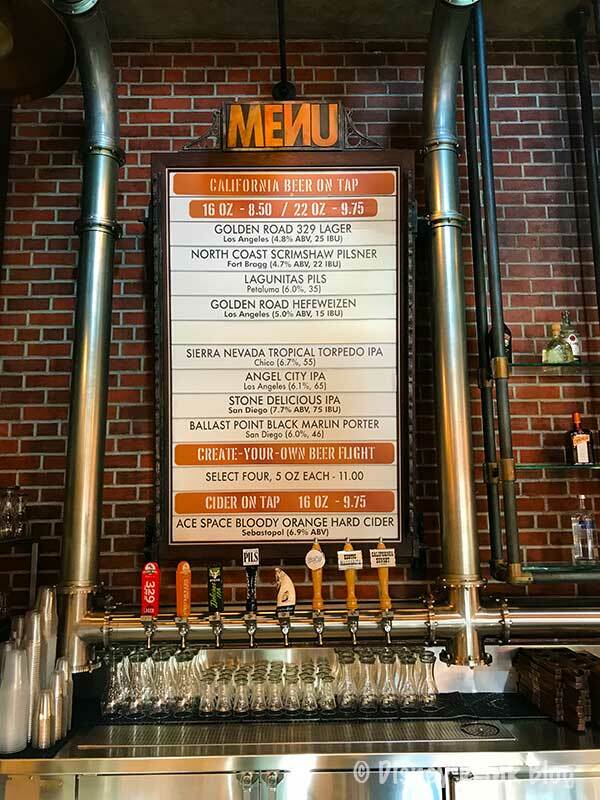 There is an extensive selection of great California beers! 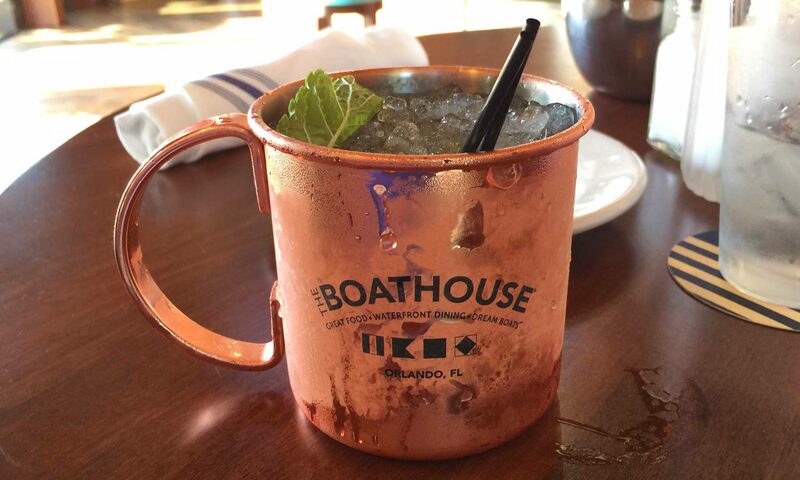 While not on the menu you can ask for liquor neat or on the rocks. While the food options are very light here, there are two standouts which are highly recommended. 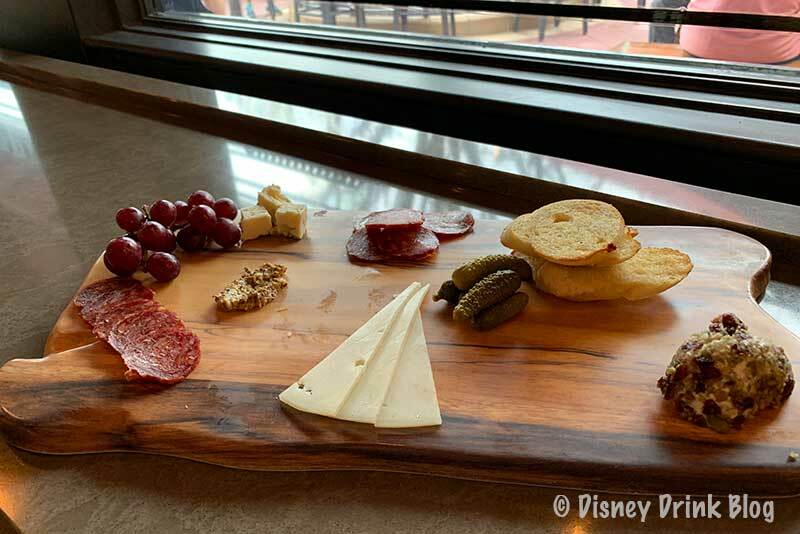 The Charcuterie Plate is high quality and presented perfectly. A great deal at ten bucks if you like Charcuterie. The Steak Puff, is delicious. You’ll enjoy spending time in this fun pub. They have a great music track with a wide range of acoustic covers! 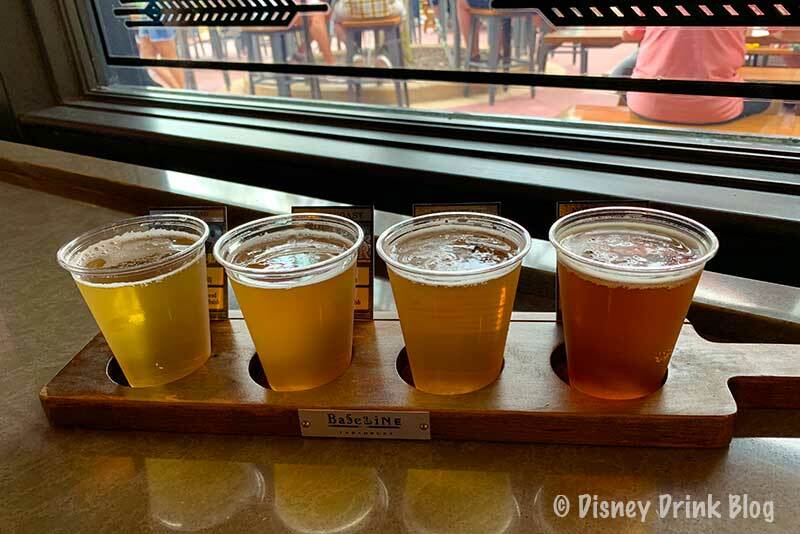 Here are the Disney Discounts that are available at the Baseline Tap House. 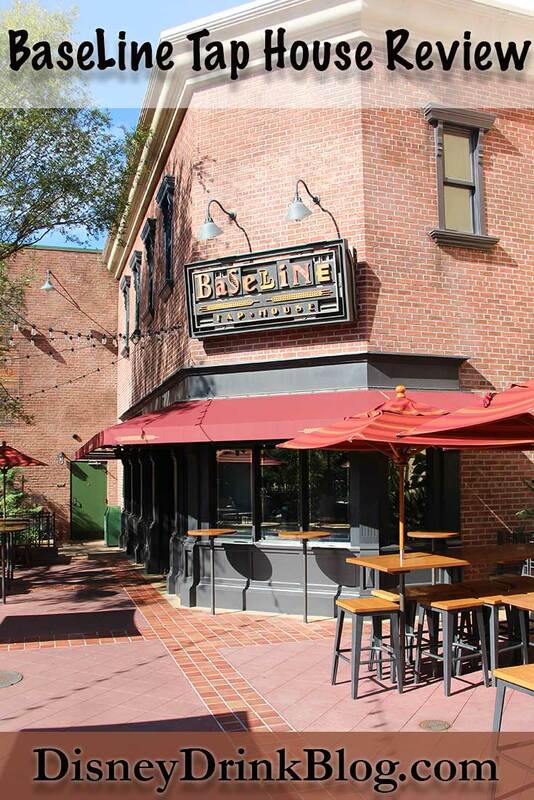 Have you tried the Baseline Tap House?Share your review or leave a comment in the comments section below! Love this spot in Hollywood Studios! Great Apps, Great Beer.